From the very beginning, we wanted to create an all-encompassing event that catered to the needs of all members of the dental profession. 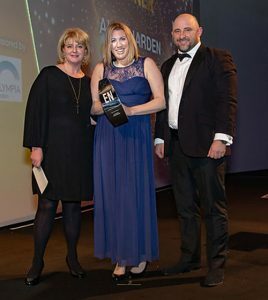 Our aspirations were always to provide an event that a large proportion of the profession found value in attending. We have always believed that, as a profession, we are stronger together and we have worked hard to provide the opportunity for everyone to come together each year. The changes that have occurred throughout dentistry have largely shaped the evolution of the event. For example, as digital technologies and materials have developed, the show has adapted to ensure it delivers a chance for delegates to discover the latest innovations. Not only has the lecture programme each year reflected key topics and events in the profession, but so has the exhibition trade floor. As such, it’s been really interesting to work behind the scenes for the past eight years. I originally completed a degree and MSc in public health nutrition, so it has helped to have a basic understanding in some of the public issues being discussed in dentistry. I feel very lucky to be in some small way involved with the profession, supporting professionals who are attempting to improve the health of the UK population. Ultimately, my goal for this event is to make it even more appealing for more members of the UK profession. I want to get more people involved to provide even greater networking opportunities. According to the GDC Annual Report and Accounts 2017,[i]there were nearly 42,000 dentists and almost 70,000 DCPs registered in the UK. It would be amazing to deliver an event that generated enough interest to welcome a significant proportion of those professionals. Continued growth and development of the conference is supported in various ways. Our industry relationships, in particular, are very important to us. My team and I dedicate time to visiting each of the associations and societies in order to engage face-to-face. Our aim is to understand what they are trying to achieve at the event and then actively facilitate this with mutually beneficial agreements. We hope to help them reach more individuals who could benefit from their memberships, while also offering high quality education at the conference. This can be seen by our work with the British Association of Cosmetic Dentistry (BACD), delivering the BACD Aesthetic & Digital Dentist Theatre for several years running now. We also work with the British Society of Dental Hygiene and Therapy (BSDHT) and British Association of Dental Therapists (BADT) for the Hygienist & Therapist Symposium, as well as the British Association of Dental Nurses (BADN) for the Dental Nurses’ Forum. In addition, organisations like the British Society of Periodontology (BSP), British Endodontic Society (BES) and British Orthodontic Society (BOS) who support sessions in the Speciality Interest Theatre. 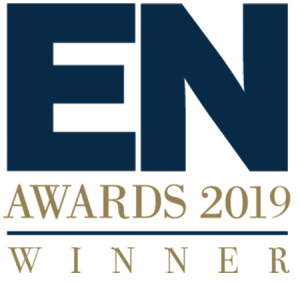 These organisations have all put forward KOLs or highly esteemed individuals they work with to present clinically led presentations or case studies of value to other professionals, ensuring a high quality educational programme. We feel it’s important for us to maintain personal relationships with these organisations in order to provide their members and our delegates with maximum value. Our biggest collaboration has been with the British Dental Association (BDA), following our merge of events last year. Combining what was The Dentistry Show with the BDA Conference made a lot of sense because there was so much synergy between what we were each doing. 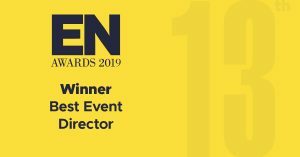 CloserStill Media was delighted to win the Best Organiser Association Partnership at the Exhibition news Awards 2019 as we believe this is a testimony to our work with the BDA, in particular. The merge has been seamless and it has been a pleasure to work with the BDA to deliver even more high quality education for delegates. I believe this is reflected in the profession’s response to the collaboration – we are delighted to have more individuals registered for the 2019 event than we did at the same point last year! In fact, we have seen yearly increases in delegate numbers (up 22% in 2018 compared to 2017) and expect this trend to continue for 2019 based on current registrations. I believe this is a key reason why we’ve had such prenominal response from the trade. We appreciate that exhibitions are not the cheapest form of marketing for suppliers, but they remain integral for building relationships and networking with clients. Delegate feedback we receive in annual surveys demonstrates very positive data on purchasing habits either at the event or as a result of attending. We invest a lot in attracting more individuals to the event, so it’s fantastic to see so many companies return every year. Ultimately, the British Dental Conference and Dentistry Show is an event designed to bring the industry together. By providing an opportunity for individuals, teams and trade to network and interact face-to-face, we hope to be doing some small part for the development and evolution of the profession as a whole. 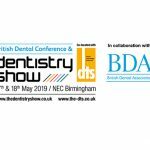 The British Dental Conference and Dentistry Show 2019 – Friday 17thand Saturday 18thMay – Birmingham NEC, co-located with DTS.